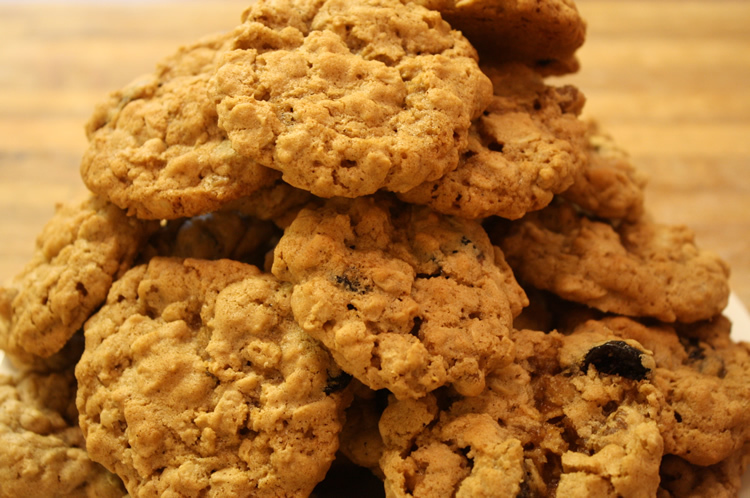 Make healthy oatmeal cookies with our easy oatmeal cookie recipe. 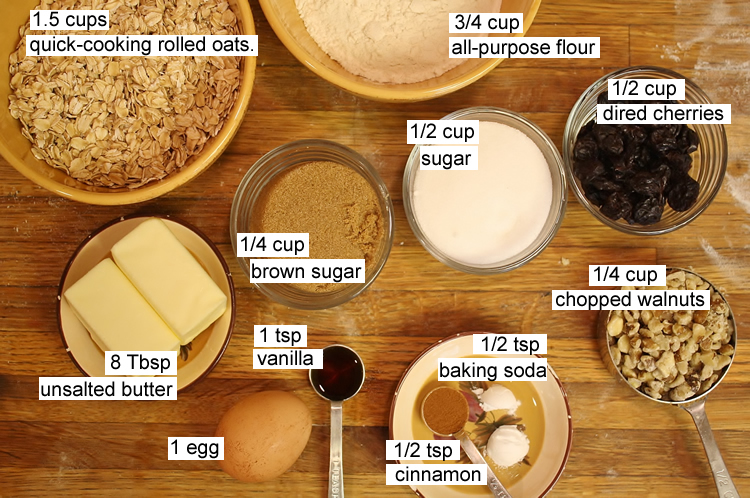 If you are wondering how to make oatmeal cookies, use this oatmeal walnut cookie recipe for the best oatmeal cookies! Preheat oven to 350° F and lightly grease a baking sheet. Mix oats, flour, cinnamon, and baking soda in a bowl. In a separate bowl, cream the butter, brown sugar, and granulated sugar. Beat in the egg and vanilla. Slowly mix in the dry ingredients, then the walnuts and cherries. 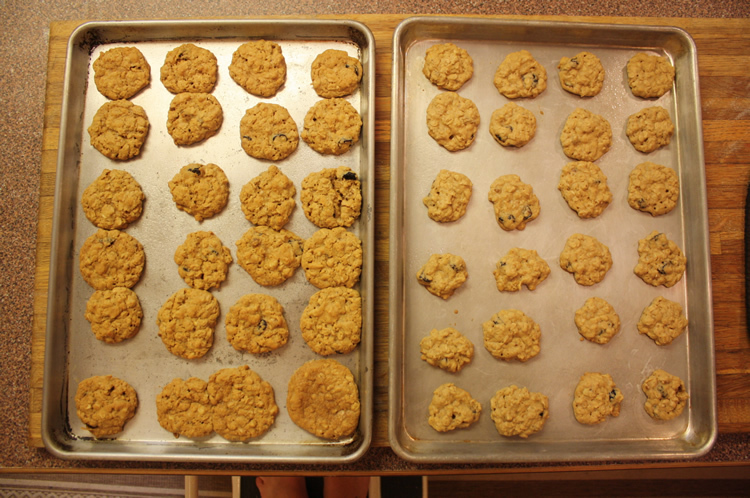 Drop the batter by rounded spoonfuls onto the baking sheet 2 inches apart. Bake until golden brown, about 10 minutes. Remove from oven and let sit, and then transfer on to wire racks to cool. *Hint: keep cookies fresh by storing them in a container with pieces of bread, like the bread heel, which help absorb moisture.